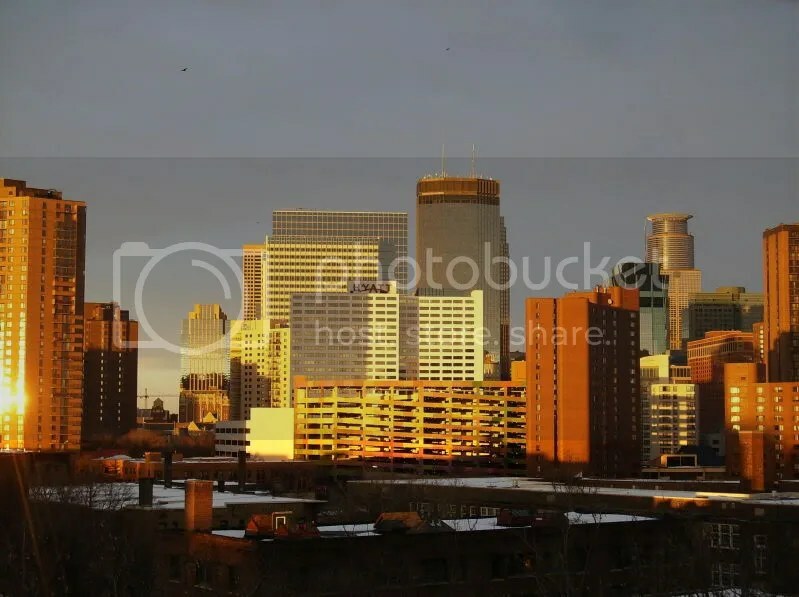 My husband and I recently moved into new digs, leaving behind a gorgeous view of the downtown Minneapolis skyline (above) in order to gain more space. 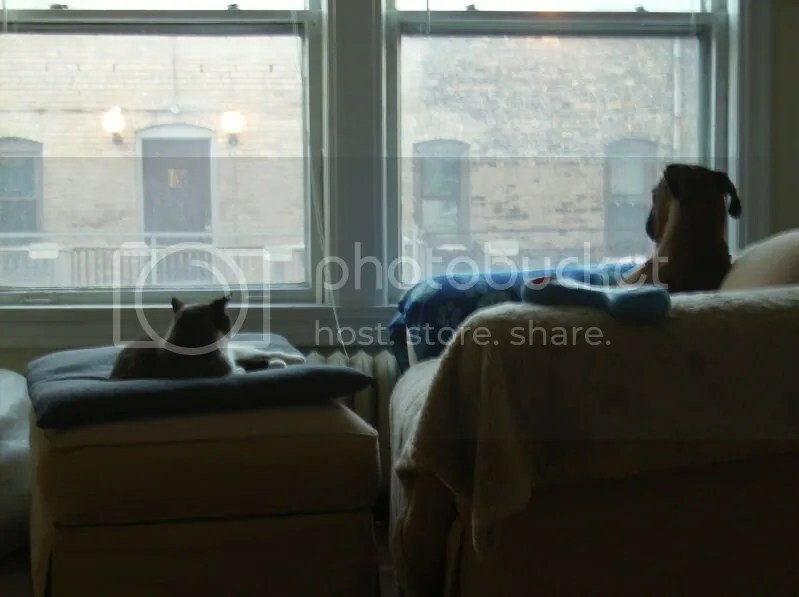 A few days after our move, I couldn’t help but notice that the pets seemed to be thoroughly enjoying the new view. Tell me: am I missing something here? Perhaps they’re seeing something I don’t. Ah well . . . at least someone’s digging it. 🙂 Pets are so funny. On occasion, Baby Girl will sing “woo-woo-woo-woo” when she needs to go outside. And one time, Kier tried to bury her food bowl with dollar bills that had been laying nearby. Thank you, Tish. Yes, the extra space sure is nice. Hey Gina–Love the comparison of the old and new view. And it cracks me up the way they’re staring at a building, haha cute!! I can’t wait to see your new place! Speaking of new views, T-Minus 5 days ’til you go to Europe . . . AWESOME! I’m so thrilled for you.